Sheffield’s True North Brew Co has launched its own vodka, adding to the brewery’s already impressive range of Sheffield-made beer and gin. 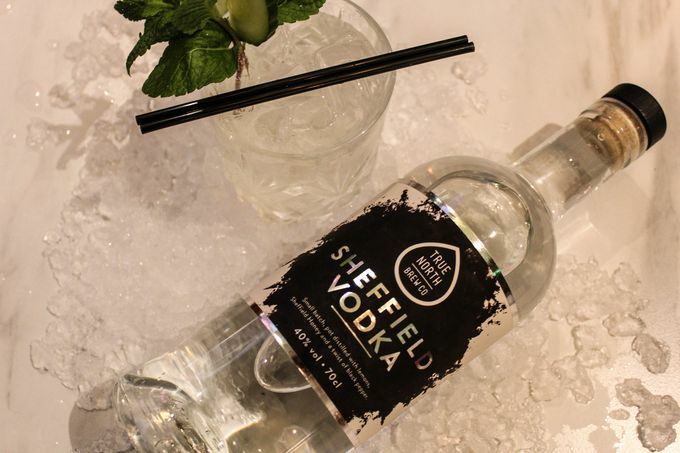 Sheffield Vodka, like True North’s Sheffield Dry Gin, is crafted in a small batch copper pot still and lightly infused with lemon peel, cracked black pepper and Sheffield Honey. The water used to make vodka is also crucial to the taste. True North are lucky to have access to the water of the Peak District, famous for its unique minerals which enhance the drinks made with it. To celebrate the launch, each True North venue has designed a special cocktail, at The Devonshire, you can try Vodka Ain’t Dead - a crisp combination of True North vodka, elderflower, lemon and basil served over ice. Vodka isn’t the new arrival at The Devonshire, the second in the venues range of gin has been releases - Moorland Berries, a dry gin flavoured by a medley of handpicked bilberries, cranberries and blackberries. Throughout the summer, staff at True North went out to the local moorland and handpicked wild fruit at its ripest. Master distiller, Ben Schulze, experimented with the flavours and this edition that truly celebrates the foraged produce. As a small batch gin there is only 200 bottles only available at Kelham Island Christmas Market this weekend or to drink in the The Devonshire. All of True North Brew Co’s Devonshire Street venues – Forum, Common Room and The Devonshire – are now accepting the Sheffield Gift Card. More than 60 shops, salons, theatres, cinemas, bars and restaurants have signed up to the card, which can be purchased online at www.sheffieldgiftcard.co.uk and loaded with between £5 and £200. The gift card is the first of its kind for a major city in England, and will be able to buy all year round. Read more about the Sheffield Gift Card in the Alive After 5 shopping section.